There are so many choices! I’ll admit it, it is very difficult to pick the right resort. You will second guess yourself many times during your vacation planning process. I think the best way to tackle this is to come up with a budget for your hotel first. That will narrow down your choices, which should make deciding a little easier. I vote for staying on-site if at all possible, only because that way you are immersed in the Disney magic the whole time. You don’t need to worry about a car, you can just hop on a bus, boat, monorail or walk to your destination. This is a vacation destination like no other, you will have the best time ever! This is a timeshare. You get to stay at a nice-sized condo type room. Kitchen, laundry, and room to spread out. You can buy a DVC or you can rent one. These are the premium resorts, they are very pretty. Larger rooms, better locations, more amenities. But they come at a higher price. Variety of food options, sit down restaurants, counter service, quick service. Themed pool areas, various transportation chioces. Moderate resorts are the middle-of-the-line type resorts. They are comfy, have some amenities, and are very popular! Usually further from the parks, usually only counter service restaurants, buses transportation available. Least expensive hotels on-site. Fewer amenities, further away from the parks, more basic hotel-style rooms. Large cafeteria style dining options. Typically more crowded pool areas, and buses. Renting a house in nearby areas is probably a great idea for some families. You get all the amenities of home, but you will have to travel back & forth. You actually ‘leave’ Disney, and dont have all easy access to all the Disney fun. Can really save you a lot of money, though. Especially larger families! Off-site hotels are typically cheaper, and easier to get a reservation. But you are off-site, so you will need to drive to the parks, pay for parking, and at the end of the day – leave Disney! Huge variety of hotel chains are nearby. Check them out! Choosing a hotel can be fun, try to not get overwhelmed! Set a budget, select off-site or on Disney Property, then start to shop! When you stay at a Disney Resort, you know it. The decor is amazing. The theme is carried out to every little detail. The buildings will all match the same design, but of course will have differences. The interiors will be coordinated with the theme and have lots of little Disney touches. The rooms themselves will also match the resort theme, and have all the standard Disney touches. You never have to leave the Disney magic. It will surround you during your entire vacation if you choose to stay at a Disney resort. Animal Kingdom Lodge has a safari/animal theme that is amazing. Yacht & Beach Club has the yacht club theme down to a tee! All Star Sports has these gigantic sports figures all over which are really fun, Polynesian Resort feels like you are in Hawaii. Its gorgeous! The Wilderness Lodge has craftsman architecture and gorgeous landscaping. Each resort has its own flavor, its own theme. No matter where you stay, you should spend some time visiting the other resorts. Plan some meals at the others and wander around. You’ll be amazed! If you select an off-site hotel, it could still be an amazing vacation. Some people feel like they need a break from all the Disney! They may also have amazing themes and gorgeous rooms. They will lack the Disney castmembers, and all the little Disney touches, but that isn’t necessarily a bad thing. There are many perks to staying on Disney property. I think one of the best ones is the extra magic hours. The parks open early, or stay open later for resort guests. This allows for park time with lower crowd levels. Another one of my favorite perks is Magical Express. This is an amazing thing! You sign up for this when you make your reservation. It covers your airport transportation. But even more than that – they take your luggage from the airport and deliver it to your room! It’s wonderful! Another thing that you can shop in the parks and have your purchases sent to your room. You don’t need to carry it around all day! Yet another advantage of staying in a Disney resort is that you have access to all the transportation – you will never need a car! At some resorts you can even walk to the parks! Another great perk is advanced access to FastPass+, so you can preselect FastPasses before you even leave your house! This ensures you a few great rides each day, without the hassle of standing in long lines or running around to get your FastPasses. I love the fact that during the entire vacation you never have to leave the Disney magic. There are many other perks, but these are the ones that mean the most to me. Many of the off-site hotels are great and offer things that Disney doesn’t! One example: free breakfast! You really need to look at what is important to you. 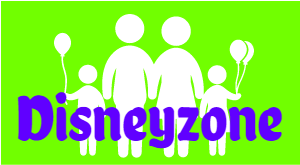 If you have a large family, and staying at a Disney resort is cost-prohibitive because of the larger room you’ll need, then staying off-site in a suite, or renting a condo or house might be the perfect solution for you! Bottom line for most people is cost. Unless money is no option to you, cost is part of the equation. There are many variables that need to be looked at. In the research I have done, staying on-site costs more. The rooms are more expensive, there are fewer low-cost options for food on property, and you will be so immersed in it all that I think you buy more souvenirs! Disney Resorts dont include anything extra. No happy hour snacks, no free breakfast, etc. There are discounts offered at several times throughout the year, and if you can grab one – definitely do that! Free Dining is one of those deals that many people try to get, but its only offered for a very short time each year and sells out really quick. Staying off-site is generally less expensive. There are many options and the hotels compete against each other and against Disney for guests. They are mostly chains, so you can use their discounts, and rewards points to score free nights. They work hard to get people to stay at their hotels. You could benefit from this competition, and score a great room at a great price. Many of them offer free breakfast, free parking, and even happy hour snacks and free water/coffee in the room. You will need to figure out transportation to the parks, either by renting a car, uber, taxi or a resort shuttle. There may be costs involved, so make sure you take those into consideration. One major benefit of being off-site is that you will have many options for inexpensive meals. Magical Express is definitely magical! A great perk for guests staying at a Disney Resort is Magical Express. Complementary Transportation for you and your luggage to and from the airport! Sign up when you make your resort reservation, or later by phone. They send you personalized luggage tags that you put on your bags. When you arrive at the airport, dont worry about luggage – just go on down to the Magical Express counter and sign in. They will point you towards your motorcoach (comfy bus). Each bus is going to a specific resort or two. Your bus drops you off in front of your resort and you are free to go check in and do whatever you please. A couple hours later, your luggage will be delivered to your room. You do not need to be there! On your return trip to the airport, its pretty much the reverse. The day prior to departure you will receive a notification delivered to your room. It will tell you what time to meet the motorcoach outside your resort. You will need to bring down your luggage with you. The luggage will be loaded on the bus and the Magical Express crew will insure the luggage gets to your flight. You go straight to your gate! There are choices to make here, too! I prefer to deal with Disney direct. Then its one call for everything. Everything about your reservation is consolidated in one spot. Need to make a change, simply call! Call a Disney Specialist Travel Agent. They will handle a lot of the details for you. Some will even get your dining reservations for you! The only negative is that you have to deal with that person for any changes. You cant make any changes online, or view things online. Control freaks like me find it a little uncomfortable. Don’t call anyone. Do it all online yourself! I have done many trips this way! You can definitely do it all online. Book your flight, magical express, your room, grab dining reservations, even fast passes! If you have any problems or questions, then you can call Disney. Next step – pick WHEN to go! This should be easier. You probably already have a couple ideas of when you want to go. But read more..